Outdoor team building activities offer the perfect opportunity for a group experience away from the office and work environment. Team activities outdoors are refreshing and energising for participants. The warmer months provide a great atmosphere for summer events outdoors taking advantage of the extended day light hours and less rainfall (we like to think). A summer event is also an excellent excuse for some alfresco dining with seasonal BBQ’s perfectly complimenting active and sociable team building activities. The event normally culminates in a day full of interaction, networking and memories that will last. 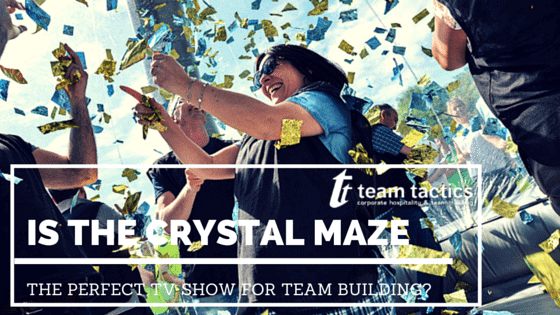 Undoubtedly one of the most popular TV shows throughout the 80’s, Crystal Maze provides a brilliant prospect for a great team building activity. The selection of different zones and interactive tasks engage all team members in an exhilarating mix between the Aztec, Medieval, Industrial and Futuristic zones. How many golden tickets can your team win? 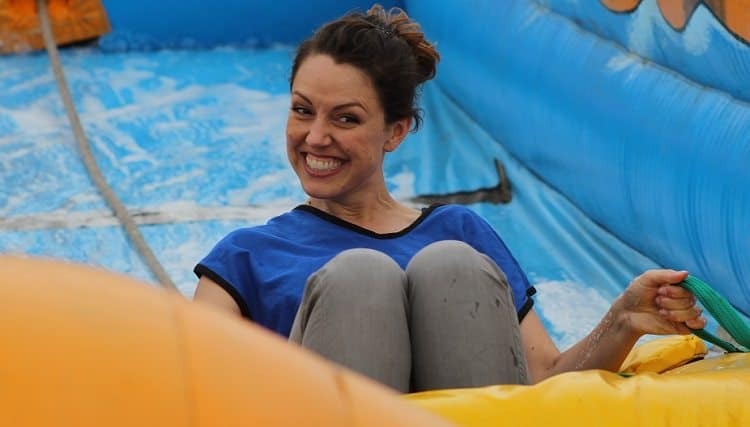 The It’s a Knockout event is one our most amusing team building activities with giant inflatables, hilarious tasks and oversized 10ft costumes to name a few. A warm up will be followed by the imaginatively designed game inspired by the BBC Knockout games. Teams must compete against eachother for the highest score before moving onto the next game. This is definitely one of the most participative outdoor events. 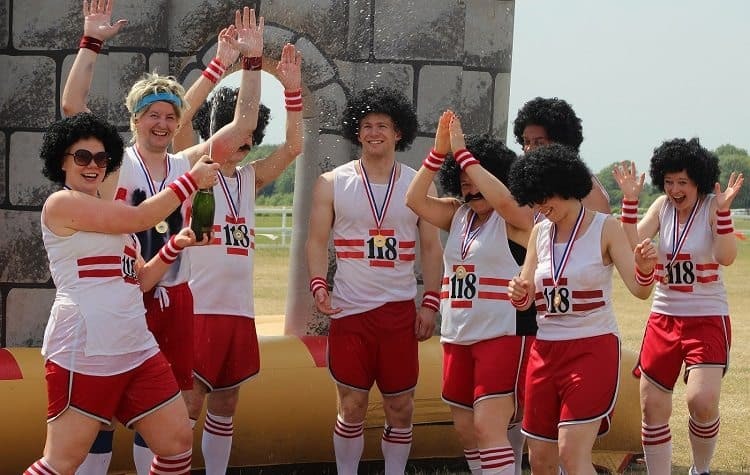 Our selection of Treasure Hunts offer the most cost effective option for an outdoor team building event but doesn’t lose the benefit of a fully managed event. Our unique London treasure hunt GPS app will enable teams to navigate themselves around the city solving clues, completing tasks and carrying out various photo challenges. The latest iPad mini will be given to each team as they explore the hidden secrets of the capital. Treasure hunts are perfect for a staff reward, a team bonding session or as part of a bigger corporate event. Multi activity days are perfect if your group is looking for more of an experience based outdoor team building event. Several options mean we are able to build the perfect day for a brief and the goals they want to achieve. Whether you want to explore the countryside in our thrilling quad bike safari or race at high speed in the apache driving activity there are activities for every group. From 4 x 4 driving to trial cars or archery to Segway driving, our team are experts in producing a day packed full of activities which compliment eachother. The Summer Splash Raft Racing is a versatile event with locations across the country. Our favourite location is at our idyllic African safari lodge alongside a large lake perfect for raft building and racing. Set within the striking Kent countryside you really cannot get a more picturesque setting to enjoy an outdoor team building activity. Teams are armed with three vital objects including rope, barrels and wooden poles. Teams must use initiative and creativity to create the best raft to support the team across to the other side of the lake. The key mission for the event is to avoid the sinking feeling! If you are stuck for outdoor team building activity ideas contact us with your brief.